Hello all! I'm baaaack...well sort of! I've been trying to figure out a way to do Instagram, YouTube, and blog and it's been so hard, mainly because YouTube was a huge learning curve for me and took up so much time. But now that I have my groove, I find myself missing this blog and writing about makeup. So I'm going to try to pop in as often as I can (it may not be everyday) but I don't want to completely abandon this platform because I really love doing it. 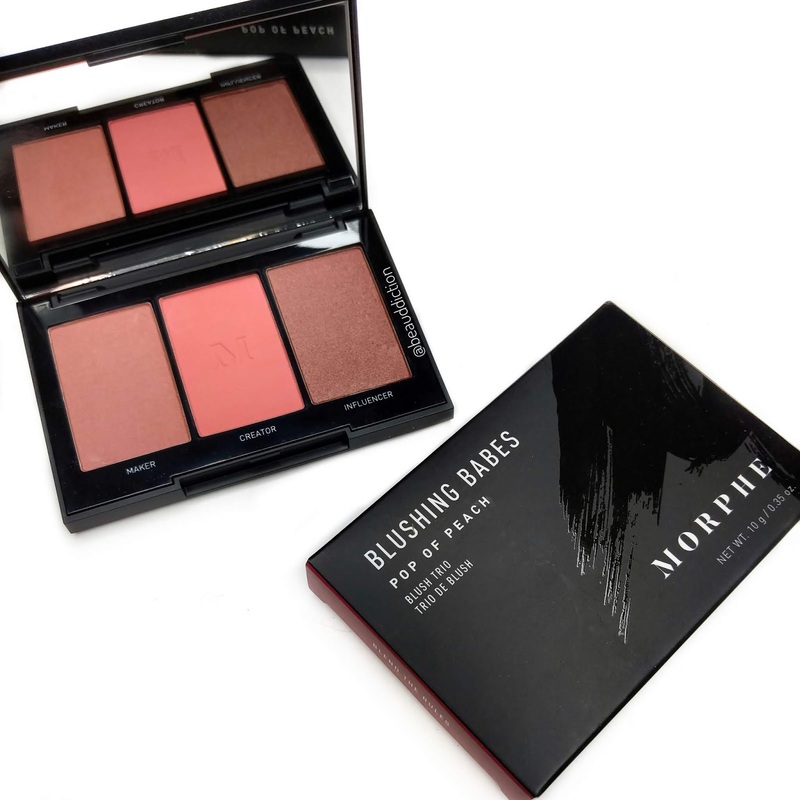 So anyway, this is a quick review of the new Morphe Blushing Babes Pop of Peach palette ($12 at Ulta). It comes in seven shades and I chose this one because I'm a sucker for peachy blushes, but when it arrived in the mail I was surprised at how dark it was because the colors looked much lighter on the Ulta website. But they do sheer out quite beautifully, so I can still use them on my fair skin tone as long as I use a lighter hand (especially for the deepest shade, Influencer). 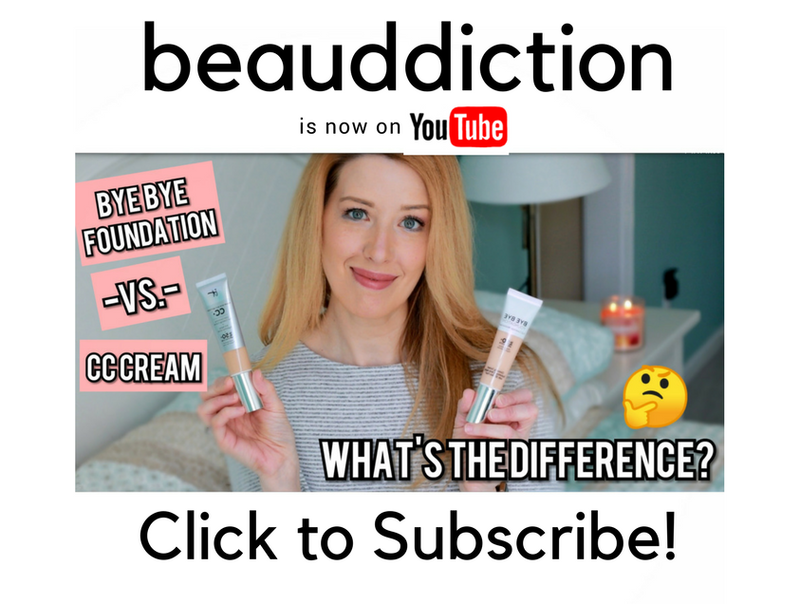 The formula feels soft but not too powdery, which is really nice. To me, they kind of feel like The Balm's blushes which I really enjoy. Maker is described as a matte baked apricot...I would say it has more of a satin finish. Influencer is a shimmering nutmeg shade, but the shimmer is very soft and not chunky or glittery. 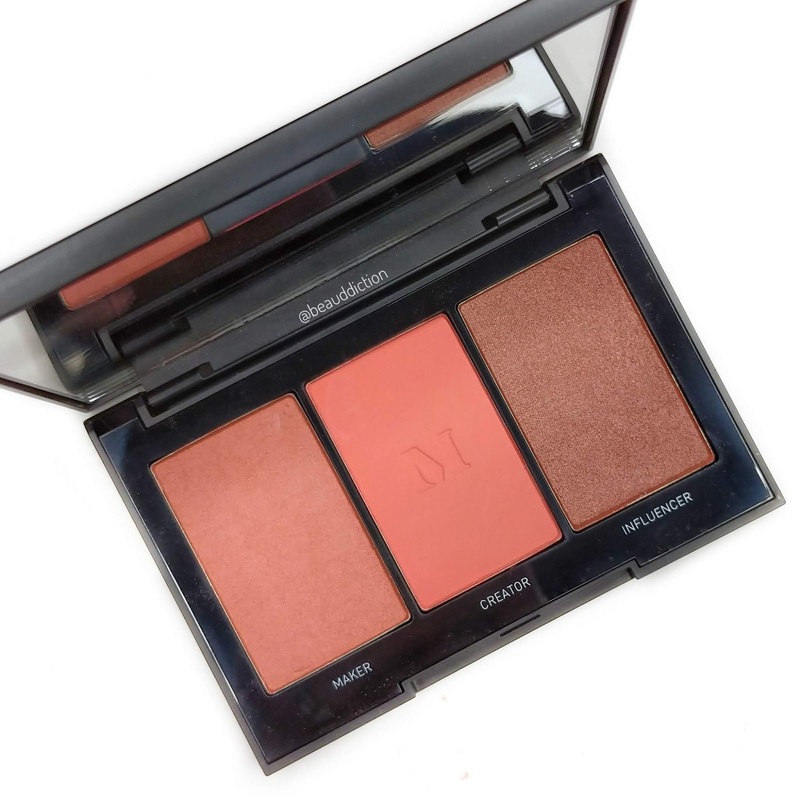 Overall, this is a really cute blush palette with a nice formula and I think it would be great to take on vacation with me this summer because it's so portable. 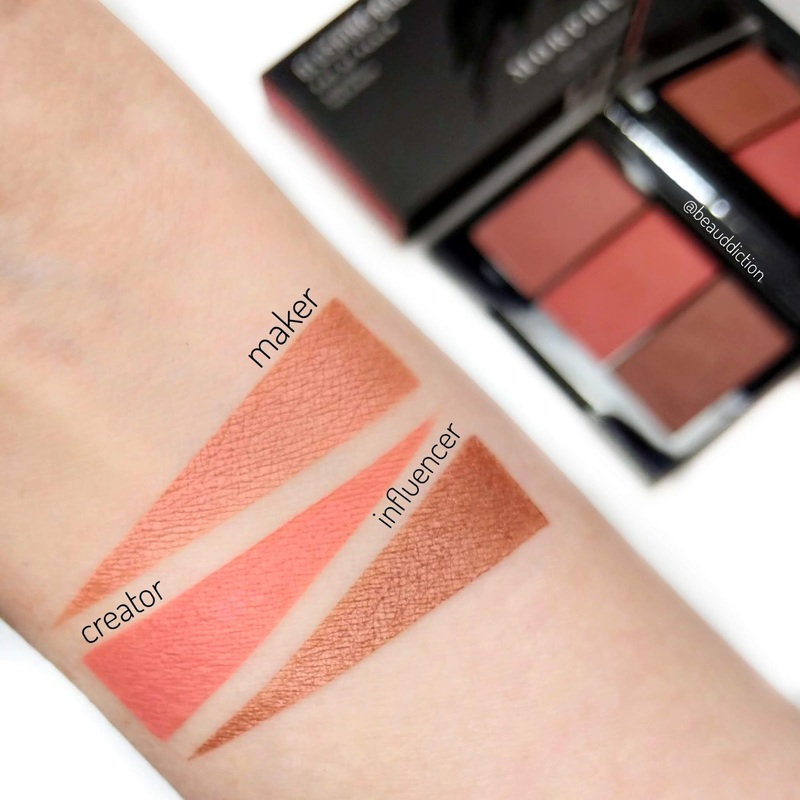 I would like to try some more shades, but I'm a little bit wary of choosing shades based on the website since this one looked completely different so I may look for them in-store (Pop of Peach is the only shade that's listed as "online only"). What do you think of the shades in here? I'd love to hear your thoughts! I'm so happy you're back, even if it's not everyday I'll take it! I miss your take on makeup and skincare. 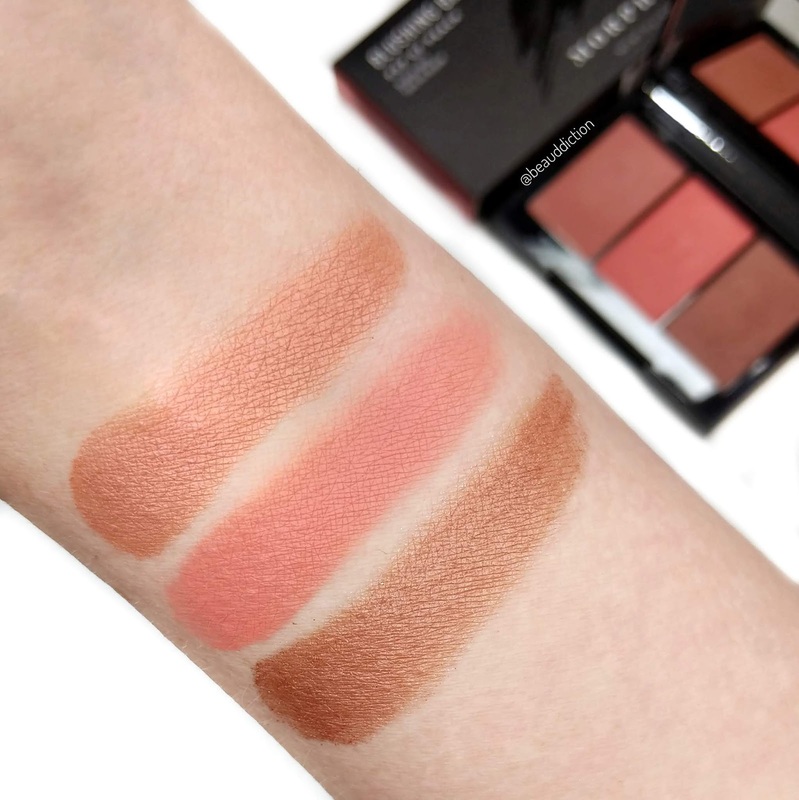 Also this blush palette looks really pretty! I love peach blushes too.